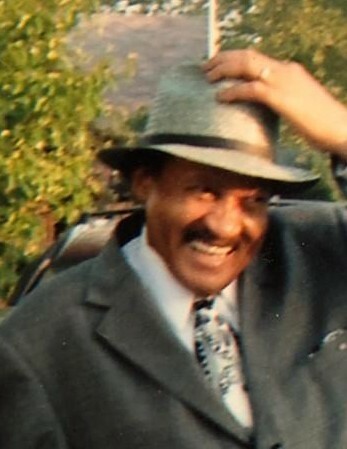 Mr. Norvell Smith, 83, of New York, formerly of Erwin, passed away March 29, 2019. He is survived by his children: Joyce Smith, Valerie Smith-Malcolm, Derrick Smith, Charrisse Smith, Tiffany Smith, and Michael Rashaun Smith; grandchildren - Shavasha Smith, Shanequa Dawn Olatokun, Robert Chandler, and Brianna Malcolm; nine great grandchildren; sisters - Herlene Blunt and Anna Smith; brothers - George Arthur Smith, Benjamin Smith, and Booker T. Smith. The visitation will be held on Saturday, April 13, 2019 from 3:00 pm - 4:00 pm at Oak Grove A.M.E. Zion Church, 3920 Bunnlevel-Erwin Road, Erwin. The funeral service will be conducted on Saturday, April 13, 2019 at 4:00 pm at Oak Grove A.M.E. Zion Church, 3920 Bunnlevel-Erwin Road, Erwin. The burial will be in the Riverside Community Cemetery, Erwin.